Atletico Madrid manager Diego Simeone reportedly has big plans for his squad in this summer’s transfer window in his bid to fill the gaps left by potential star player exits. The Spanish giants face doubts over the futures of star forward Antoine Griezmann and goalkeeper Jan Oblak but could use that to their advantage in a bid to rebuild, according to Don Balon. 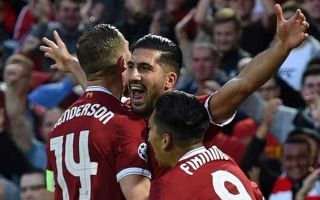 Simeone is said to be keen on signing Liverpool pair Sadio Mane and Emre Can, the latter of whom looks set to become available on a free transfer as he’s yet to extend his contract that expires this summer. Mane could be another fine addition if Atletico can pull it off, with the Senegal international showing his class and quality alongside Mohamed Salah and Roberto Firmino in attack. Both Mane and Can are just the kind of hard-working players Simeone likes, and it’s easy to imagine they could both be a big success in La Liga. This would be a huge blow for Liverpool, however, and one imagines they certainly won’t let Mane go too easily. Don Balon suggest the former Southampton man would likely cost around £70million to leave Anfield this summer.